Violet color. Aromas and flavors of toasty cherry pie and caramel apple with a silky, bright, fruity medium body and a graceful, interesting, medium-length finish that presents nuances of creme brulee, berry jam on raisin toast, and nuts with light oak flavor. A juicy, crowd pleasing red with gobs of ripe fruit. 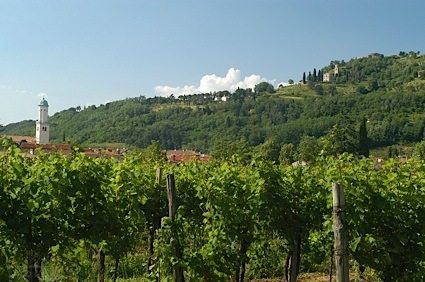 Bottom Line: A juicy, crowd pleasing red with gobs of ripe fruit. 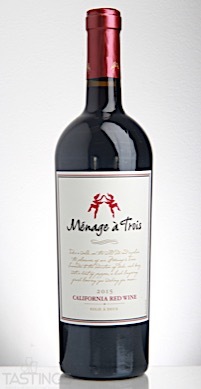 Ménage à Trois 2015 Red Blend, California rating was calculated by tastings.com to be 90 points out of 100 on 9/21/2017. Please note that MSRP may have changed since the date of our review.